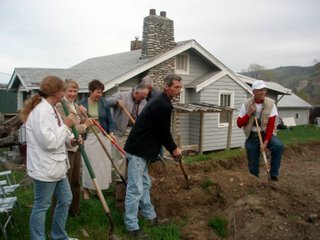 Nearly every Habitat for Humanity project begins with a Groundbreaking Ceremony.These ceremonies are a fun beginning for each new project and give the family a real sense that the construction of their new home is finally beginning. It can be up to a year between acceptance in to the program and the start of construction so these ceremonies are always a joyous occasion. 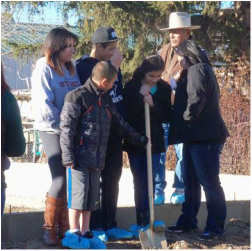 On a sunny December day 2014, we celebrated groundbreaking with the Lovato family. This was a special celebration as it marked the start of our 50th home. We are planning a special 25th anniversary/50th home dedication ceremony for May 2015. Congratulations to the Mena family. 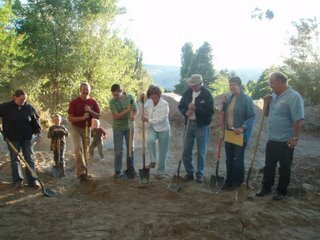 In July 2014 they broke ground in preparation for construction of their home. Construction is set to begin in August on Lot 4 of our Frances Court subdivision. 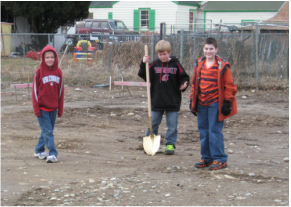 In February 2014 we celebrated the groundbreaking of our third home to be built in our Frances Court subdivision. The Allie/Slack family can't wait for the construction to begin. 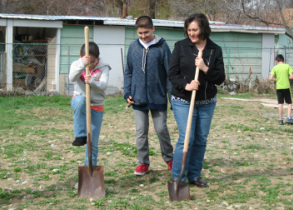 March 2013, Spring has sprung again in our Frances Court subdivision as the Castaneda family broke ground on the site of their future home. This family was all smiles with the anticipation of home ownership.